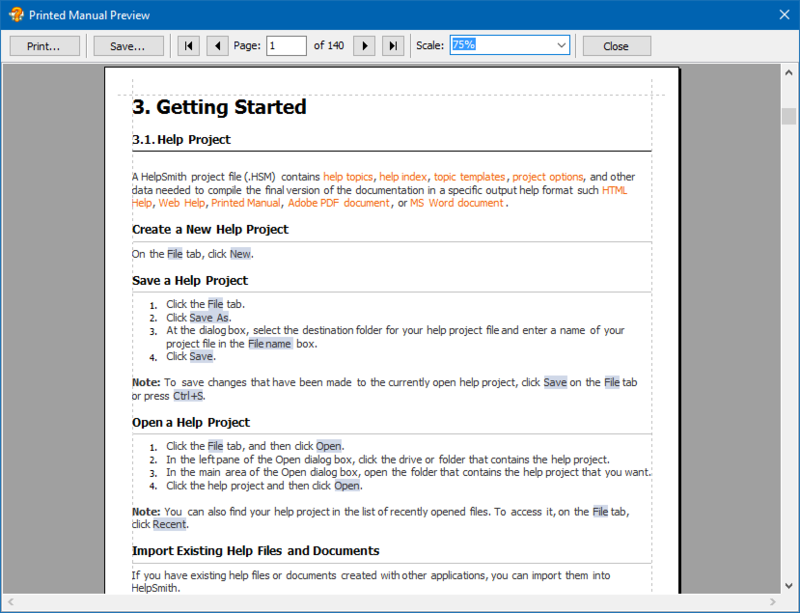 We are pleased to announce the release of HelpSmith 7.1 that allows you to create ePub eBooks, adds the possibility to split an imported Word document into topics by font size, provides a built-in web server to test generated Web Help systems locally, adds customizable outline levels for printed documentation, and other enhancements. HelpSmith 7.1 adds support for the ePub format, so you can now create an ePub eBook from your help project. HelpSmith allows you to define the ePub’s Book ID, URI, and ISBN parameters, and also provides flexible settings for generation of the Cover page, and the Table of Contents page. For example, you can choose to generate the Cover page automatically, or you can use a special help topic, an image, or provide a custom HTML template. The new HelpSmith update allows you to import a Word document and split it into multiple topics by specifying font size values of the headings on different outline levels. This feature enables you to import a Word document and restore the document’s structure in HelpSmith. In addition, the Import feature can recognize and remove titles from the topics, which is useful if you want to apply a common template that will use a variable to display the title. 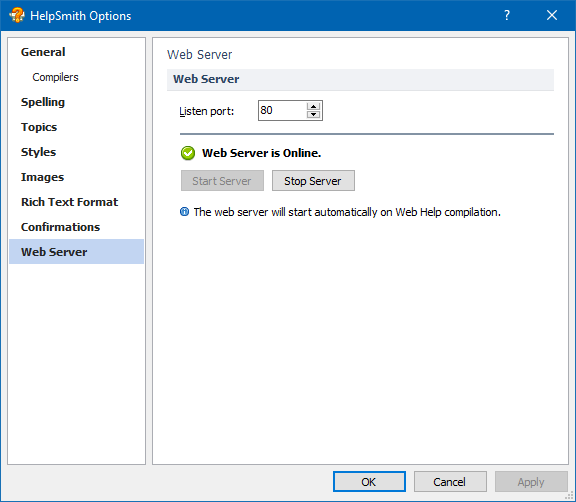 The new HelpSmith update includes a full-featured web server that runs automatically when you generate a Web Help system. This eliminates the restrictions of modern web browsers that apply to web pages that are located and accessed from the local computer directly. In the result, you can test your Web Help system without such restrictions locally. 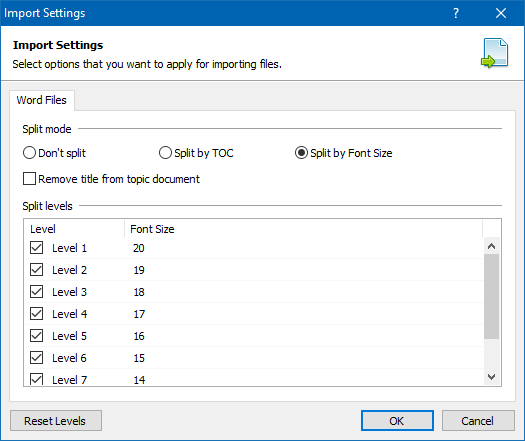 If you use HelpSmith to create printed documentation, you can now customize outline levels settings, which makes it possible for you to setup numbering for chapters, sections, and sub-sections using your preferred format, setup the style of headings that are also exported to the document, and also to edit the style of Table of Contents items on different levels. 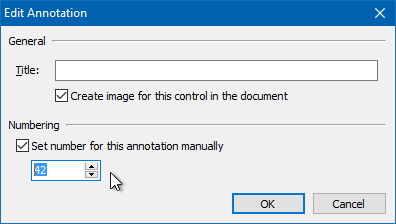 While the Image Tool in HelpSmith defines the annotation numbers automatically depending on the annotation position, you may also want to define the number of a specific annotation manually. HelpSmith 7.1 adds such a possibility, so you can now use the Image Tool not only to describe individual UI elements, but also to provide an illustration for step-by-step documentation. 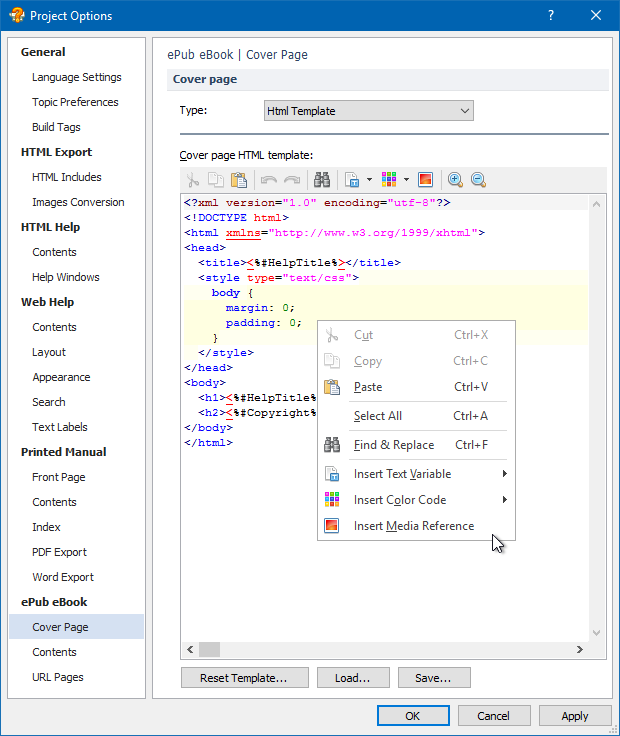 The HelpSmith’s HTML Editor which is used for editing the code of HTML insertions and also the code of HTML-based templates (for example, in the ePub-related settings) now allows you to insert links to images in the media repository, variables, and color codes in the HTML notation easily, thanks to the enhanced user interface. Also, you can now use conditions to include (or exclude) a specific block of HTML code depending on build tags. The option “Scale to full page width on mobile” is now enabled by default for new screenshots captured with the Image Tool. Fixed an issue with incorrect line spacing that occurred when importing an HTML file. A Web Help system did not work properly in Internet Explorer in a corporate network. 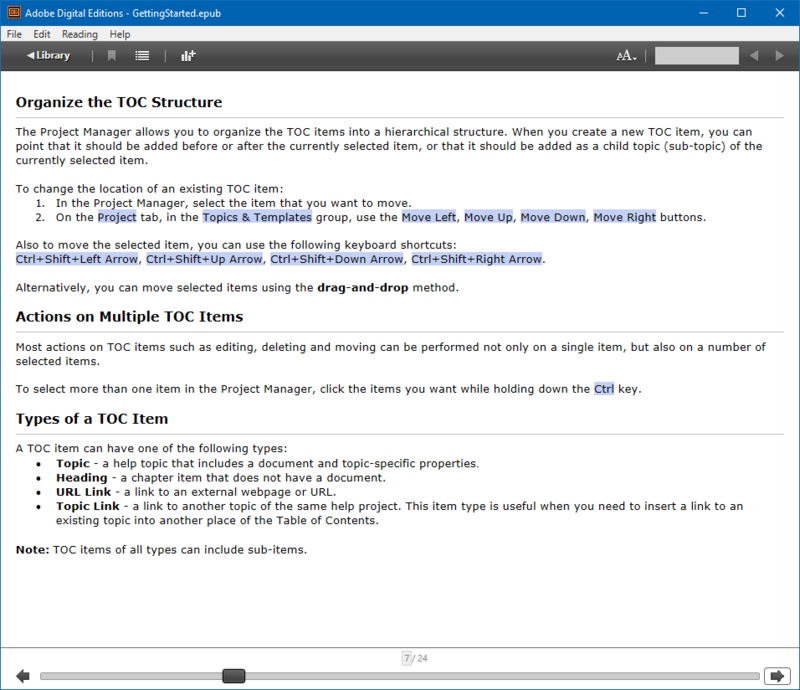 The links to topics in the Table of Contents and on the Index page in Printed Manual displayed incorrect page numbers in some cases. Duplicate page numbers appeared for a specific keyword on the Index page in Printed Manual in some cases. Page numbers associated with a keyword on the Index page in Printed Manual were not properly sorted in some cases. Fixed an issue with editing Build Tags via the Build Options dialog: the application could freeze in some cases.